This week’s referee spotlight focuses on Simon Hooper, who was appointed the referee for the Middlesbrough v Swansea City Championship game on Saturday, 22 September 2018. 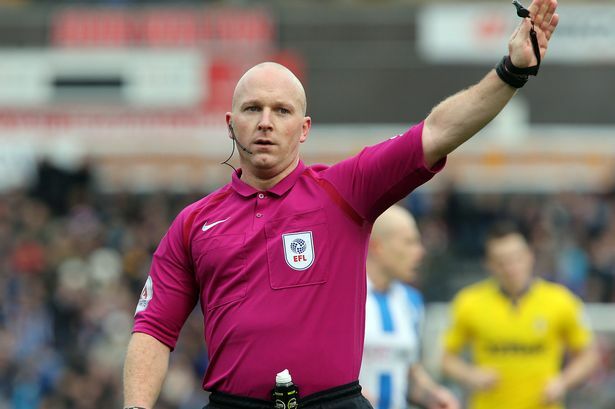 In May 2018, Simon Hooper was promoted to Referee Select Group 1 by Professional Game Match Officials Limited (PGMOL) having taken charge of 42 matches across all competitions during the 2017/18 season, a decision which former referee Mark Halsey disagreed with, commenting that better referees should have been promoted ahead of him. Hooper made his Championship bow in Norwich City’s 4-0 win over Barnsley in January 2009 and now has over 170 Championship games under his belt. Hooper has only ever been the referee for one Swans away game.